Last month, Samsung introduced the metal-clad Samsung Galaxy Alpha, which is already available on AT&T in the US, as well as a few other regions as well. If you’re based in Canada, and are waiting for the Samsung Galaxy Alpha, you be glad to find out it’s now available on Bell and Virgin in the region. If you’re thinking about purchasing the handset off-contract, you’ll have to shell out C$699.95 for Bell — Virgin is just asking for $0.04 higher, that is, $699.99. It’s also available for $149.95 with a two-year contract on Bell while Virgin charges just $0.04 higher here as well. The device comes with a new metal design, with Samsung ditching its usual plastic exterior. The handset boasts a 4.7-inch 720p Super AMOLED display. Under the hood, there’s a Snapdragon 801 chipset with 2GB of RAM and 32GB of internal storage. Unfortunately, there’s no microSD card slot for storage hungry users. Other features include a 12MP camera on the back, a 2MP front-facing camera, 1,860 mAh battery to make sure there’s enough juice for the handset and runs Android 4.4.4 KitKat as its operating system. Many users may get disappointed with the smaller battery, considering Samsung’s other devices comes with a considerably bigger battery. 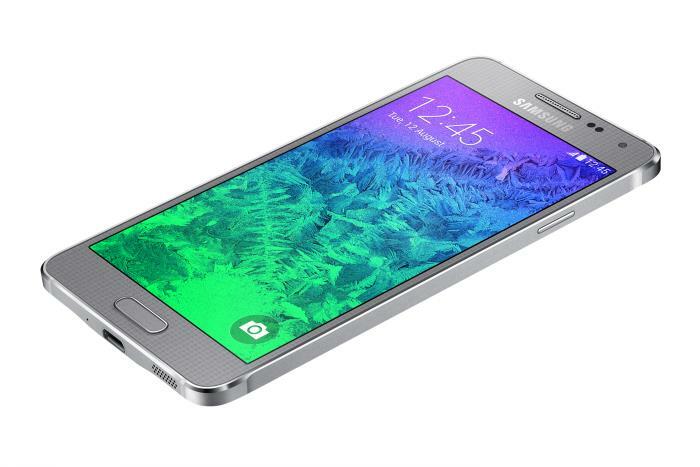 Any one of you planning to get the new Samsung Galaxy Alpha? Sound off in the comments below.